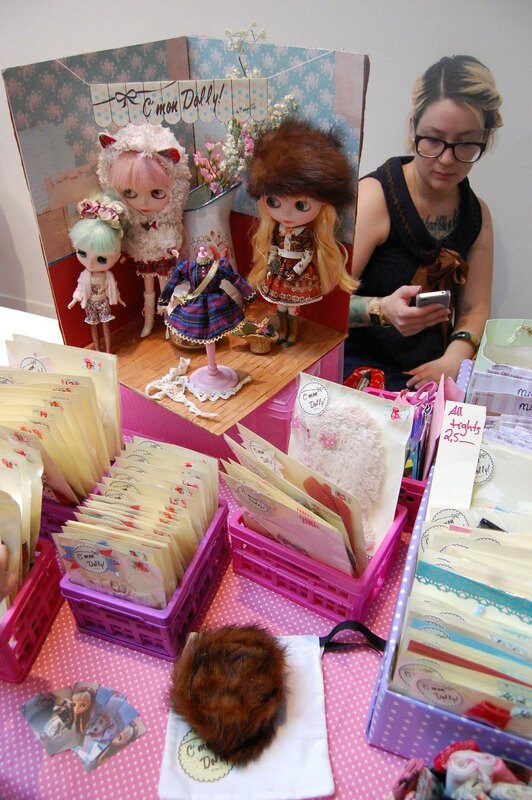 C'mon Dolly: Back from Blythe Con Uk! I came back a week ago but i had been busy to make a post! I had an amazing time in Glasgow and I met wonderful people there! I can't wait till next year to next Blythe Con Uk! Here is a picture that Dollymama took of my table in a moment of phone meditation!